Community is an integral part of our value system at CrossRoads. We know that people best grow in their faith when they surround themselves with others who have the same goal. Groups provide opportunities for people to build relationships with one another and grow in their faith. Connecting Groups are a good way to take that first step into community. They are less formal than study groups and they are social in nature. There are men's groups and women's groups, and a variety of opportunities for people with similar interests and lifestyles. These groups often run from September to June, offer activities throughout the year, and are open at any time for newcomers. When you're ready for a deeper level of community, semester groups provide the perfect environment for you to start developing lasting friendships. They typically run 10-12 weeks so that you can try out a variety of groups before settling in. Some groups discuss current topics, some focus on in-depth bible studies or sermon-based conversations, while others provide unique opportunities for connection around activities or sports. There are also groups specifically to minister to men and women. Life groups often form out of semester groups that have studied together for a while. These groups commit to go deeper for 18-24 months and work on taking their faith and relationships more seriously. Group members help each other walk through the good and the bad of life, offering a community where you are really known and loved--hurts, habits, hang-ups, and all! One of the best places to get to know people is when you're serving alongside them. Are you an event planner? Do you want to work in the kitchen or cafe on Sundays? 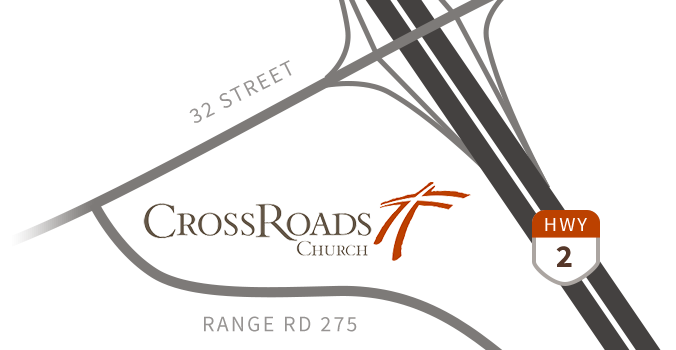 Do you have an interest in the CrossRoads Welcome Team? We have all sorts of places you can jump in and put your God-given skills and abilities to work. If any of these interest you or you want more information, check out our groups listing or contact us at CommunityLife@CrossRoadsChurch.ca. If you are a group facilitator, click here to login to the Church Teams website.